You have a little, a lot or no money at all and you ask yourself in what should you put your money? A financial risk is the risk of losing money as a result of a financial transaction (on a financial asset) or an economic transaction with a financial impact (eg a sale on credit or in foreign currency). There are many risks, some are specific others not, but the vast majority ranks in the risks below. October is currently the Number 1 platform in France for CrowdLending. Founded by Olivier GOY, its development is currently experiencing strong growth in France but also in Europe (Italy, Spain, the Netherlands and soon will be added countries such as Germany.) Almost 260 million euros have already so far been funded. Octuber is registered by the French market authority (ORIAS). For our readers October offers you an exclusive offer: A welcome bonus of 20 € for 500. This offer is accessible by registering via my link only. You can then take all your time to choose the projects on which you want to make your first investments. October (ex lendix) allows the financing of SMEs both by individuals but also by institutional investors. Every day many files are analyzed by October and only a few files each month are retained by the teams to present them in funding on its platform. Private lenders can then lend from € 20 to € 2,000 per project and thus obtain a monthly repayment of part of the capital and interest. Lenders can thus lend on new projects to diversify their investments as much as possible. October/ lendix has an average rate of 6.50% for an average duration of 45 months out of more than 300. In practice, we have seen rates ranging between 2.5 and 9.5% over periods ranging from 6 at 60 months. October is currently the platform that offers the most project in France. On several occasions we have been able to participate in more than 15 projects / month. One of the particularities of October is also to be able to propose projects of several hundreds of thousands of Euros (sometimes millions of euros) on 4 countries (France, Italy, Spain, Netherlands). 1 new country is planned for 2019: Germany. It pretty easy, you just have to click on the link below, answer some easy question and fulfill you investment profile. You get a bonus when you register with this link. You can lend on each business project between 20 and 2 000 €. Originally the maximum was € 1,000 but a new law allows individuals to now invest € 2,000. October requires that we lend multiples of 20 €. Refunds are made monthly and include a portion of the capital and interest, less taxes (lump sum and social levies) for the persons to whom it applies. Some projects may have repayment schedules including periods when only interest will be paid back in the first few months, but I’m not even sure I’ve seen it at the same time, there are so many projects. OCTOBER does not currently offer lender insurance. Some OCTOBER Italian projects are now subject to a guarantee. Like most crowdfunding platforms, there are no entry fees or management fees for the Lender. October is only remunerated by the company seeking funding. Classic risks of crowdlending, the capital loss of your investment. Each platform has its own risk scale depending on the project. The OCTOBER contracts provide for early repayment clauses. While most platforms do not provide for any early redemption fees, OCTOBER does not provide for 4% of outstanding principal. 2% will return to OCTOBER and 2% will be returned to the lenders. Some projects are nonetheless exempted from this 2% if this has been stipulated in the contract: These are flexible projects. October offers an exclusive sponsorship offer for readers that will give you a bonus of 20 euros ! From a taxation point of view, OCTOBER complies with the legislation. The tax will be French for the French and to declare in your country if you come from another country. Transactions are secured via Lemonway also has the role of continuing the repayments in case of bankruptcy of October. October has so far managed to maintain a fault rate at a correct level. The acquisition of finsquare had taken a toll. To lend, you just enter the amount you want to lend to have a simulation of the interest you will receive over time. Once validated, you will have to sign your contract electronically. The procedure includes a validation via a code sent by SMS. Few platforms offer a real mobile application. October already offers both IPHONE and ANDROID versions. Unlike some platforms October does not propose via their interface to be able to exchange on the proposed projects. It would be useful to be able to ask questions to which the borrower, the lenders and October could contribute. If you have questions October offers you several channels of communication: To know that the level of reactivity of the teams is Excellent. A chat in Live or Deferred mode: Directly accessible on the home page, the chat allows according to your connection time to either speak with a person from October live, or to leave a message. In the second case October will make you a quick return. October is today clearly one of the best platforms in France. Albert Einstein, who knew a lot about mathematics, would have said that the principle of compound interest was the greatest mathematical discovery of all time. Everyone would like to save money, whether it’s to have a little cushion, or to pay for a nice vacation or something else that is important to us. Yet, we often have the impression that the money comes out of our bank account faster than it enters, even when we think we are paying attention. Curious about how much money you’ll accumulate in your Roth retirement account? If you’ve got Microsoft Excel (or just about any other popular spreadsheet program) running on your computer, you can use its FV function to forecast the future value of your Roth IRA or Roth 401(k). This little pretty complicated, I grant you. But suppose you want to calculate the future value of an individual retirement account that’s already got $20,000 in it and to which you are contributing $400-a-month. Further suppose that you want to know the account balance—its future value—in 25 years and that you expect to earn 10% annual interest. The function returns the value 771872.26—roughly $772,000 dollars. How to react to these shipments? If you have received a spam to your e-mail address, or if the message appears to be a phishing attempt, do not respond and do not open attachments, images or links contained in the message. Report it to the platform Signal Spam. 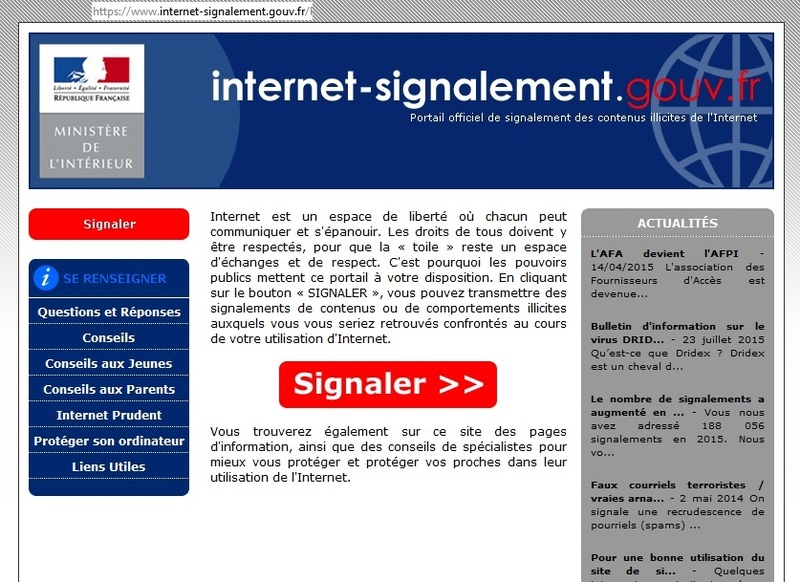 The association Signal Spam, partner of the CNIL, allows you to register for free on its site internet www.signal-spam.fr, and download an extension for your kind e-mail program Outlook. A "Signal Spam" button will appear on your e-mail. Simply select the message to report and click this button. If you are using a Yahoo, Hotmail or laposte.net type Internet messaging system, you can complete the online reporting form and copy – paste the spam received. The reports made on the Signal Spam platform allow to identify and take action against "spammers" at the national level, in partnership with the internet industry and the competent public authorities. Thanks to the platform Signal Spam received alerts, the CNIL triggers investigations and controls on the spot and can be brought to punish spammers. How to report attempts to scam on the internet? You can report these scams on the "PHAROS" platform (for "platform harmonization, analysis, cross-referencing and orientation of the reports"). It is accessible on the site www.internet-signalement.gouv.fr. This platform allows to report internet sites whose content is illegal. Your report will be processed by a judicial police service specializing in these questions, the central Office for the fight against crime (OCLCTIC) communication and information technology. Reports on the PHAROS platform are, after verification, investigation service-oriented. A criminal investigation may be initiated, under the authority of the Prosecutor of the Republic. PHAROS receives every year tens of thousands of reports. If the reported content is illegal but designed abroad, it is transmitted to Interpol which directs him to the judicial authorities of the country concerned. These platforms are the mels and websites. What to do in case of receipt of sms or mms unsolicited on my mobile phone? You can transfer the abusive SMS to number 33700. It is an SMS alert system created by Telecom operators, services providers and hosters, in consultation with the Secretary of State for industry and Consumer Affairs. After this transfer, you will receive a message asking you to send the 33700 the number from which you have received abusive SMS. This information is passed to the operators, including yours, who will be able to act quickly with agencies at the origin of these sms. Sending a SMS to the 33700 is free for the guests of Bouygues Telecom, Orange and SFR. For other operators, sending a SMS to the 33700 can be done at the price of a normal SMS.